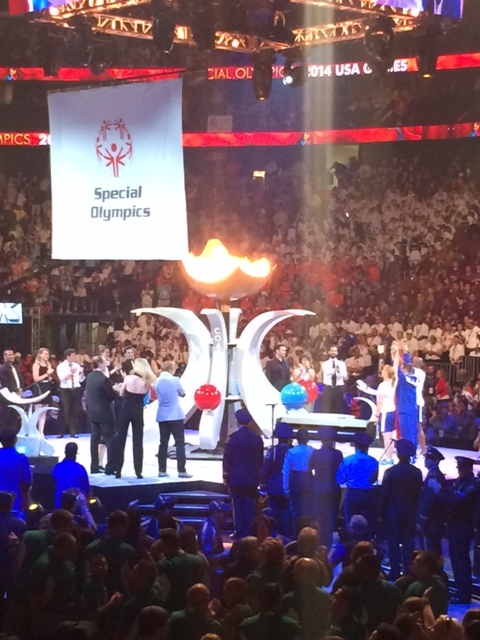 Here is a Throwback Thursday to last week at the 2014 Special Olympics USA Games! Learn more and donate to Team Louisiana here. On June 30 at 6PM CST, a first in the history of Special Olympics USA Games will occur and we want YOU to be a part of it! Thanks to USA Games Founding Partners WWE and 21st Century Fox, the first-ever nationally televised show, recapping a USA Games, will be broadcast on FOX Sports 1. 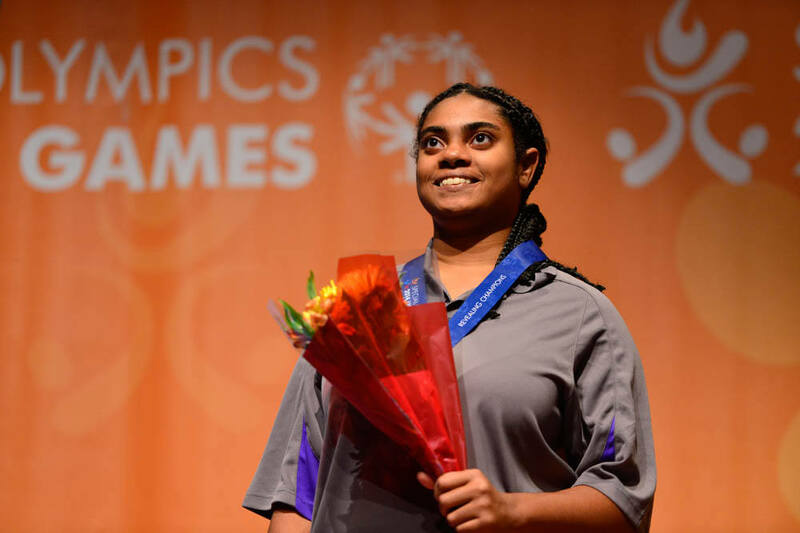 “Celebrating Champions” is a one-hour television event that will celebrate the Games, highlight competition, ceremonies, special events, Special Olympics initiatives, and most importantly, will show the Games through the eyes of the athletes themselves. One of the featured athletes, is Louisiana’s very own, Theodore Bazille! Check out the teaser video here: Post by Special Olympics USA Games. We want to get as many people as possible to tune in so we are asking YOU to join us in getting the word out! What do you need to do? Watch! Not sure if you get FOX Sports 1? Visit www.foxsports1.com and enter your zip code and cable provider to find your local FOX Sports 1 channel number and/or availability. Have a viewing party! Gather your friends, family, colleagues and teammates to watch this one-time-only broadcast of “Celebrating Champions.” Then share your viewing party photos with us. We want to see who has the biggest, best and/or most spirited viewing parties in the USA! Remember to tag the 2014 USA Games, FOX Sports 1 and WWE so lots of people see your awesome photos! The final awards are in! 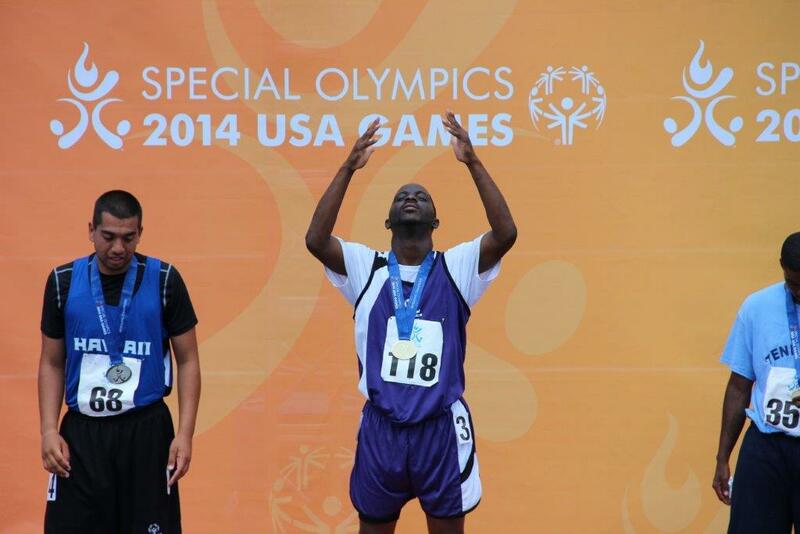 Team Louisiana did phenomenal at the 2014 Special Olympics USA Games and we couldn’t be more proud of them! They are bringing home 47 gold medals, 36 silver medals, 34 bronze medals, 43 fourth place ribbons, 10 fifth place ribbons, 6 sixth place ribbons, 3 seventh place ribbons and 3 eighth place ribbons. That is a grand total of 182 awards!!! – To see all of the individual scores and results, please click here. – To view the photo album from this week, please visit our photo album. Louisiana is bringing home the medals! It is Day 5 of the 2014 USA Games and Team Louisiana is doing fantastic! As of now, we have won 14 gold medals, 13 silver medals, 10 bronze medals, 21 fourth place ribbons, 8 fifth place ribbons, 4 sixth place ribbons, and 2 seventh place ribbons. View the results. The games are still happening and there are plenty more to come! Unified Basketball is still undefeated and Unifies Flag Football is in the top division. Can’t make it to the games? Check out our updated photo album on Facebook, get live updates on Twitter, and be sure to check Instagram for the latest pictures! Coach Sandoz couldn’t have said it any better. 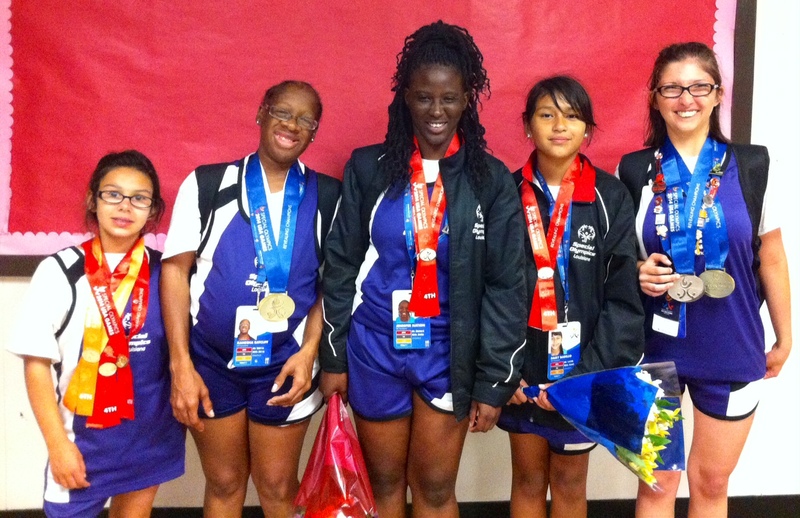 Team Louisiana’s Unified Flag Football team has been putting on quite a show at the 2014 Special Olympics USA Games. The team has been showing off their dance moves during half time. Yesterday, the team was losing going into the half, but once they got done dancing, they came back and won the game! Saturday, 12 of our team members flew in style courtesy of the Citation Special Olympics Airlift, 1/2 our delegation made it to New Jersey with no problem and the other 1/2 spent a few extra hours in the New Orleans airport (which made for some interesting stories and photos.) All in all, our delegation arrived safely! Sunday, several of our sports scoped out the venues and practiced. That night, they participated in the spectacular Opening Ceremonies where the cauldron was lit and the games officially declared open! Monday, preliminary competitions began for Team Louisiana. – Highlights include: Two bowlers, Joshua Racca and Donnie Guillory bowled turkeys, Gerren Brown even bowled 4 strikes in a row. Unified Flag Football won against Delaware 25-12. Aquatics did great in the 4×25 medley relay. Unified Basketball won against Maryland 33-24 and against Tennesse 34-17. Stay up to date with Team Louisiana on our social media channels facebook, twitter and instagram. Check out the pictures here. To support Team Louisiana while they are in New Jersey, you can donate here.